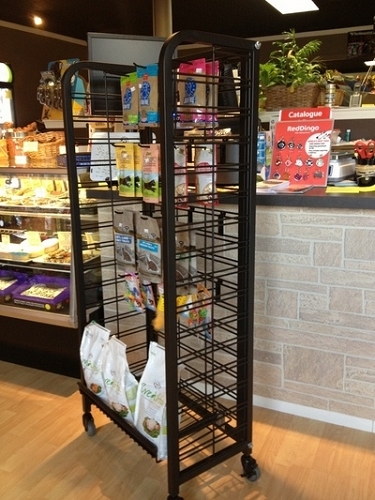 Mobile Display Racks are a beautiful way to bring your products to where you need them in your store. 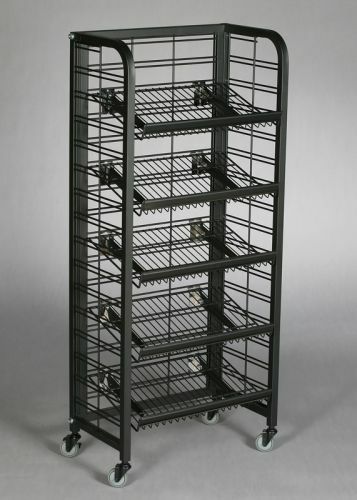 The terrific design of this metal rack will draw the customers’ attention where ever you choose to place it throughout your business. 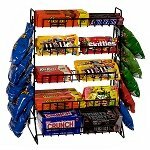 Constructed of wire and steel, this floor fixture can potentially draw in passerby's, so place this candy rack out in front for potentially increasing sales and customer base. 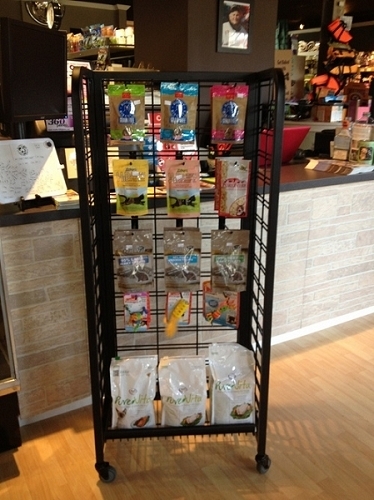 This retail display stand comes with casters, and five adjustable shelves. 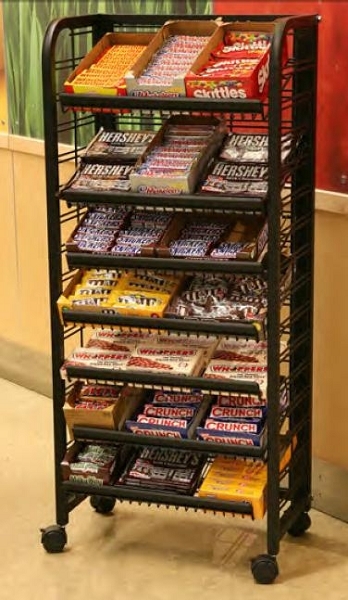 Our metal fixture can hold up to seven wire shelves that are an available option when you purchase from All Store Display. If 24" wide is not large enough for you, click and check out our other size options. Get yours today before they are gone!